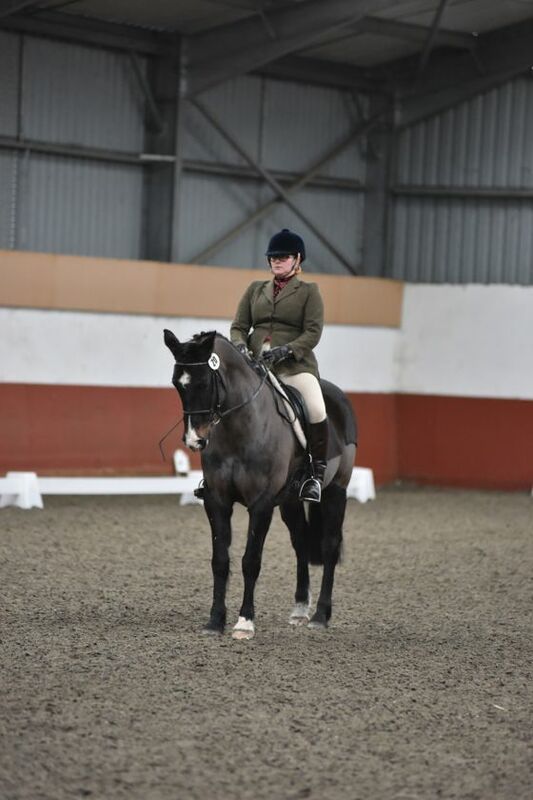 Since my last update we have done a fair bit of training – both endurance training and schooling – all with good outcomes and it gives me an exciting feeling! 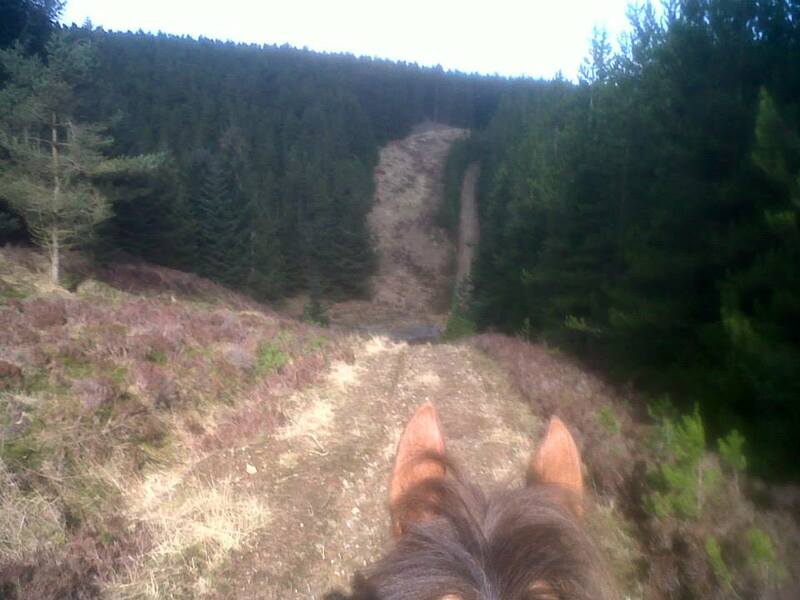 Marco and I headed to Findon Riding Club Dressage competition on Sat 14th March to do Elementary 57. 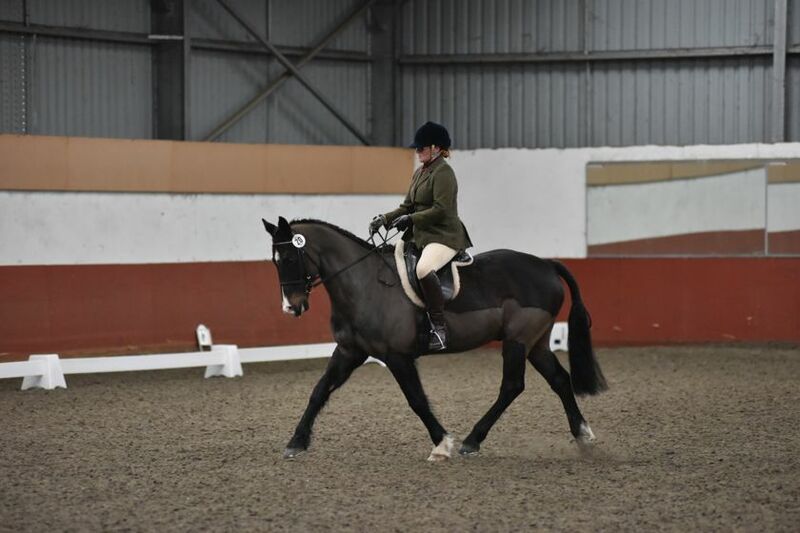 He was pleased to be out at a party and gave me some cheeky moments but we both enjoyed ourselves and I am pleased with how he went and inspired to do more and improve on our score and suppleness (he is 19 years old though and has many miles on his legs so I have to be realistic!). 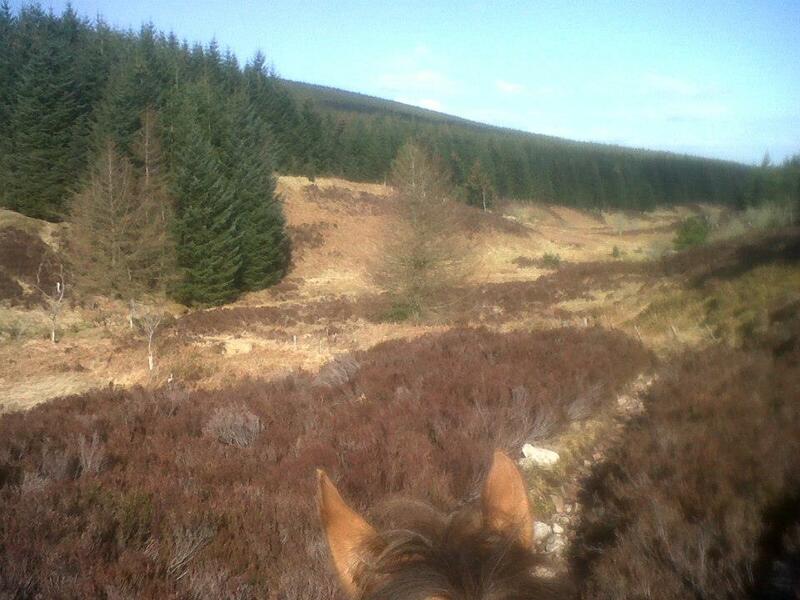 On the Sunday Spangle and I headed to one of my favourite training grounds – Spyhill – starting from the foot of the Durris Mast we rode 40km – the plan had been to do about 30km with Gemma and Morgan but Morgan appeared to be tender on his feet so they turned back and we continued alone. The tracks here are amazing – they were redone last year and are canterable for most of the main loop, however as usual for me I don’t usually stick to the main tracks and we added in extras – including a burn crossing, some steep roller coaster type hills, and some narrow stony and muddier tracks and some fallen trees that we needed to go over or round. It was a lovely day and I knew Dawn was keen to get Floss out for some canter work and hill work so I made contact with her and she came over in the afternoon – I took Spangle back to the parking for a break after 21km (pretend vet gate) and then once Dawn and Floss arrived we set out again and did another 19km (following a slightly different route to what I had done earlier). My phone was out of battery then so Endomondo wasn’t tracking it but I mapped it later on memory map – 40km with 1100m of ascent/descent and I had a very fresh pony still. She felt probably the best she ever has and I was so delighted with her. I then had her to Riding Club Training on the Tuesday night, with Niamh Meehan, where Spangle went very sweetly, improving all the time, some good canter work, some lovely lateral work (one side needs more suppleness than other though) and a superb attitude! 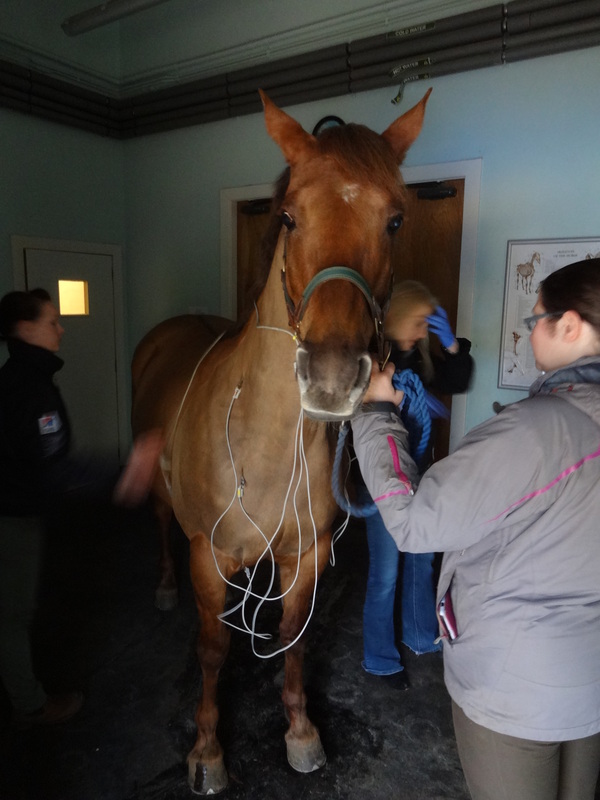 Friday saw us head to Ardene House Veterinary Practice for Spangle to have an ultra sound of her heart done by Ceila Marr, one of the UK’s top Equine Cardiologists – this is purely pre cautionary as I am aware that on checking Spangles heart rate that it is not always totally regular and often the ride vets listen for extra and are interested in it – but rarely concerned. 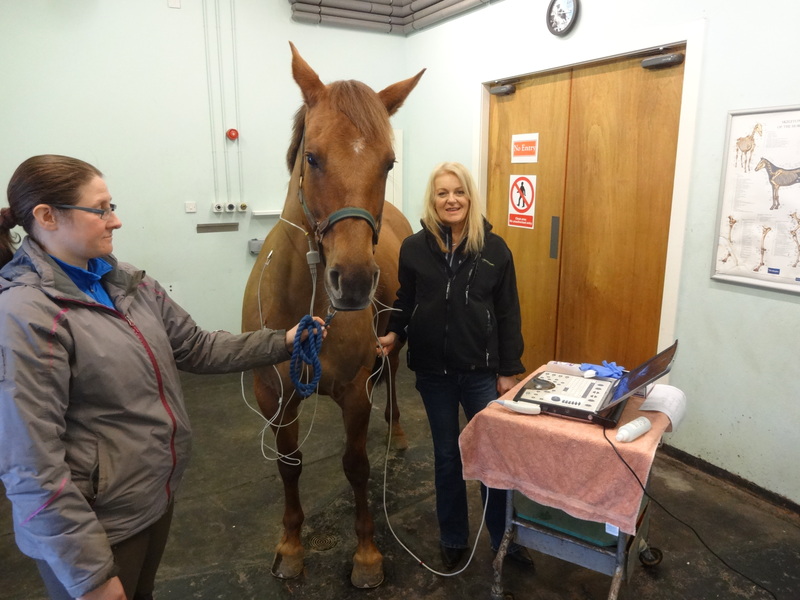 Just to be sure all is well last year we had the opportunity to have Spangle looked at by Celia so she had a scan of her heart then and an exercise ECG, followed by intensive exercise over a few days with the machine on to check what exactly happens. Whilst there is an abnormality in the rhythm at times it is nothing concerning, but was decided probably best to check the heart scan again in a year just to be sure nothing has changed. 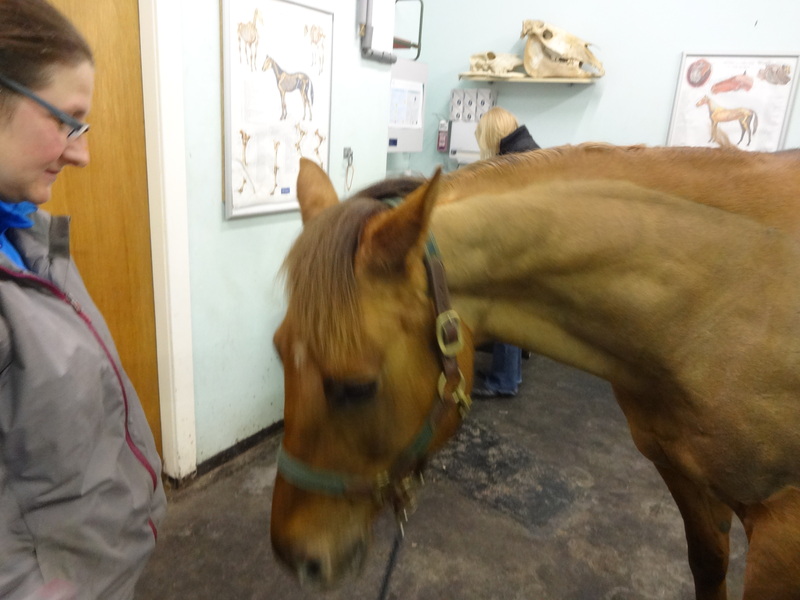 Spangle obviously relates this place to being sedated – she was not sedated but very much behaved as if she was! She was in here twice 18 months ago for xrays of her hoof as a result of her awful abscess and must think dreamy sleepy thoughts here! It was all good news though and we also enjoyed watching the Solar Eclipse which was just happening as we finished with Spangle. I went from Ardene to Ladyleys to have a private lesson with Erik Mackechnie – Erik was pleased with our warm up – including our canter, commenting it was the best he had seen so we would leave the canter at that and work on the trot and some lateral work – again Spangle worked well, was responsive, willing and co-operative. She was a real delight and we finished early with neither of us stressed or sweated up! 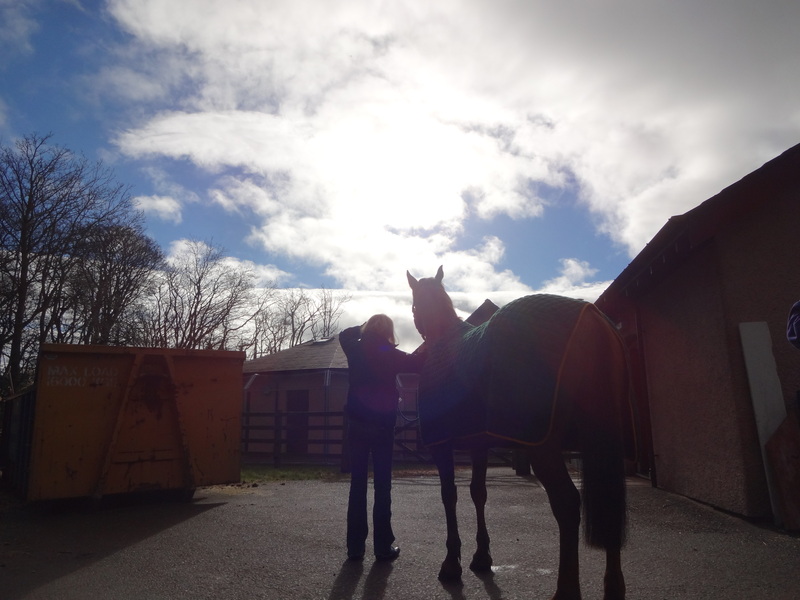 The horses both then had an easy weekend as I went to visit my good friend Kirsten, husband Steve and Baby Abi. 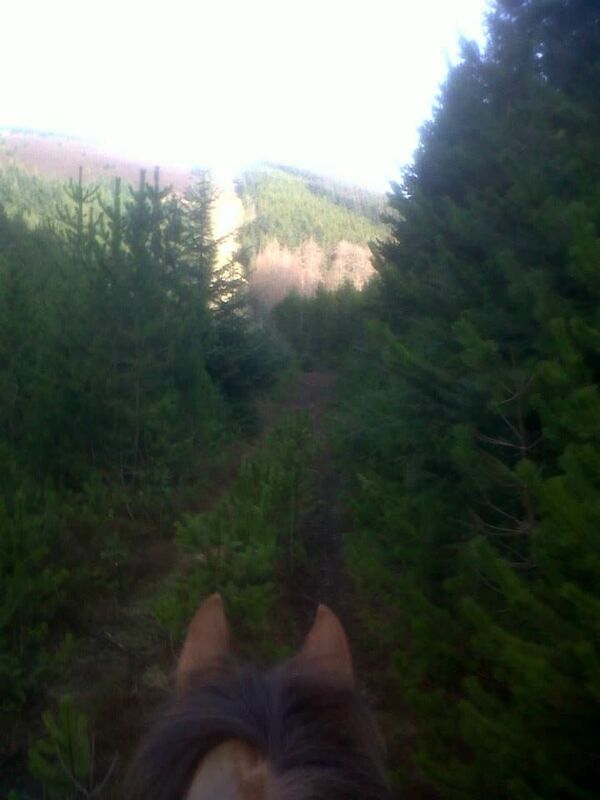 We had a lovely weekend but its always nice to get back to the horses again too. Thanks Dawn for taking good care of them as always.